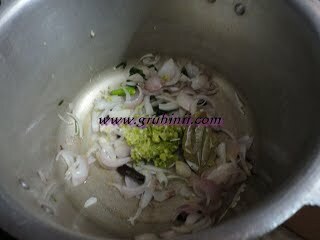 Grind green chillies, garlic and ginger to fine paste. Heat oil in a pressure cooker. 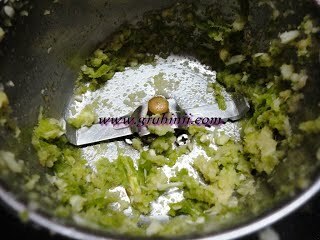 Add bay leaf, cinnamon, cardamom and cloves to it. Stir fry and add onions. Fry onions in a medium flame until they become translucent and add the grounded ginger garlic chilli paste. 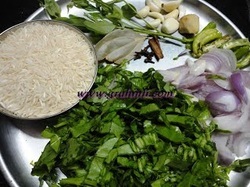 Stir fry and add the chopped palak to it. 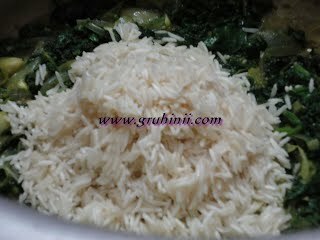 Fry for a while, add washed and drained rice to it. 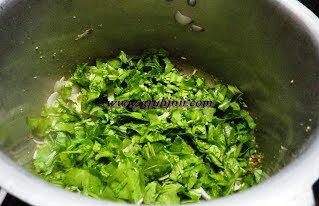 Fry for a minute and add 2 cups of water and salt to taste.